12&12, Inc. is the state’s largest CCARC (Comprehensive Community Addiction Recovery Center). It is located near the University of Tulsa in Tulsa, Oklahoma. It offers treatment and rehabilitation to adults who are suffering from addiction, substance abuse, and mental health problems. It is sponsored by the Oklahoma Department of Mental Health and Substance Adult Services. It is the only recovery center that provides ambulance detox program on the site. 12&12, Inc. was founded in 1985 with the mission to treat more than 25,000 youths of Oklahoma who are drug or alcohol dependents. Recently, it was awarded the best residential treatment center in Oklahoma by the Oklahoma Citizen Advocates for Recovery and Treatment Association. Furthermore, 12&12, Inc. is also a recipient of the Gold Award, which was given by the Tulsa Area United Way to this facility for of its outstanding support to the community. 12&12 offers a continuum of treatment choices to its clients that include detoxification, outpatient treatment, intensive residential program, counseling, intensive outpatient program, counseling, and transitional living. A multidisciplinary treatment approach is the basis of 12&12’s services that include counseling, nursing, psychiatry, case management, and medical oversight. 12&12, Inc. is housed in the building of the redundant Sheraton Skyline Hotel. The facility purchased this hotel back in 1993. It spreads over an area of 170,000 sq. ft. with 277 rooms, meeting rooms, offices, dining facilities, laundry facilities, and offices. All rooms of the facility are well-furnished with modern equipments. The residential inpatient program houses a hundred women and men at a time in gender-based units. Two women or men share a single room including a private bath that is equipped with a shower and tub. There are special arrangements available for people who are hearing impaired or otherwise handicapped. The facility has four floors and every floor has a common area that includes TV, DVD, library, and study area. There are outdoor areas for recreational activities such as basketball, volleyball, Ping-Pong, etc. In terms of food, 12&12 provides nutritious and tasty meals to clients thrice a day. A licensed dietician looks after the meal plan with other staff all the time. The meals at the facility are served in a buffet style in the cafeteria. Vegetarian options are also available for those who need it. 12&12, Inc. also operates another facility by the name, Bryce House, which is accredited by the Veterans Administration. This residential living facility is designed especially for homeless veterans who are in recovery. The foundation of the 12&12, Inc. is based on two principles. One is that addiction is a chronic and progressive disorder of the brain while the other one is, the addiction treatment involves a recovery process based on an individual’s needs. This facility even offers classes and tutorials for job searching and on resume writing respectively in a computer lab. Apart from that, there are outdoor and indoor recreational areas to prop up various activities. There is also a gym available for clients on the site. Bryan Day has served as CEO and owner of various successful ventures in publishing, service, and retail industries over the past 20 years. In the 1980s, he received various awards for revenue forecasting and trends systems related to the Sheraton Hotel Systems. Brad Collins is an adjunct professor who teaches AOD counselors at Tulsa Community College. He completed his Masters in Human Relations at the University of Oklahoma. He is an approved OBLADC supervisor. He is passionate about educating diverse people about the various methods, components, and means of recovery from the disease of addiction. Dr. Samuel Martin is the medical director of 12&12, Inc. since the year 2016. He is also a clinical assistant professor of Behavioral Sciences and Psychiatry at Oklahoma State University Center for Health Sciences. He completed his general psychiatry and medical training at the University of Oklahoma. He is a certified doctor in addiction medicine and psychiatry. He has provided psychiatric and addiction care to clients receiving residential treatment and detoxification services at the 12&12 since 2011. 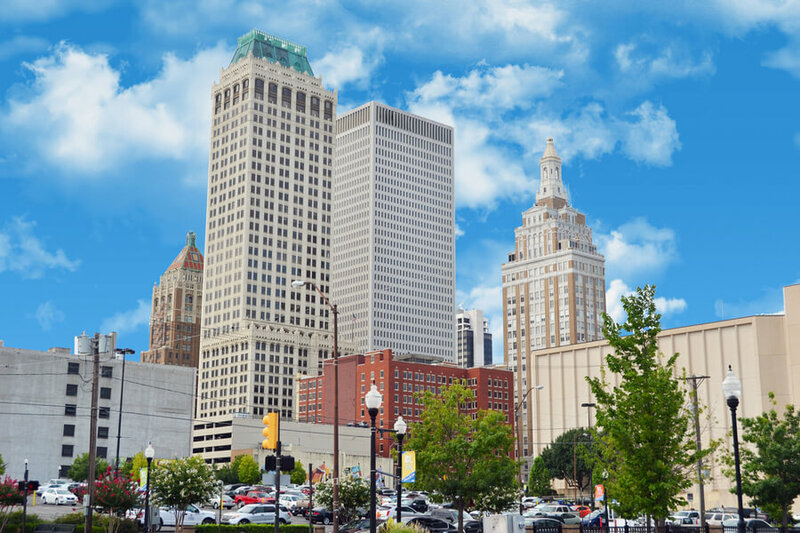 Addiction Resource » Drug and Alcohol Rehabilitation Centers » Oklahoma rehabs » Tulsa » 12&12, Inc. This place s**ks a*s!! They kicked me out for going to the Dr on transport and just because there way no seating in the waiting room I went outside to wait because I didn’t want to sit on the floor. Just because that the Dr refused to see me and I got discharged from the 12 & 12 facility. There was people sneaking in meth and saleing it to everyone and even those people didn’t get kicked out but I had zero write ups and no issues at all during my stay they let me go with only 10 days of treatment left. I lost my family due to this and my kids again and now I got to restart my whole entire program at another facility. I wouldn’t recommend this place to anyone it’s such a joke and humiliation that it’s been rated so high in Oklahoma when the place is covered in black mold and all broken equipment and the place is ran like a joke. If your sobriety’s truly a goal for you I do not recommend this place! !